Would You Give Your Eggs To A Woman You Love? Your friend, sister, or sister-in-law wants to have a child and her best chance is through egg donor IVF. Do you do it? Would you help? Would you give her one of your eggs? Donating an egg is a complex and involved procedure. According the an Atlantic investigation into How much a woman should be paid for her eggs? it requires 56 hours of “work” compared to the sperm donor’s one hour. Physical intrusion is required with cycle suppressant injections, daily hormone injections, and the day of “harvesting” the eggs where the donor is put under general anesthetic. There is also medical risk: ovarian hyperstimulation syndrome (OHSS), whereby the ovaries swell too much and fluid leaks into other internal organs. But this is an assisted fertility option with positive success rates—particularly in older women. The U.S. Centers for Disease Control and Prevention 2013 Assisted Reproductive Technology National Summary Report found that the percentage of live births resulting from donor eggs was consistently higher (between 50 and 68 percent) across all ages groups than non-donor eggs (0-50%). For non-donor eggs, the rate of live birth success declines from 38 years but does not for donated eggs. The CDCP report attributes the success rate of donor-egg live births to the age of the woman who produced the egg, which is typically in the 20s and early 30s. In November, the independent feature film, Ovum, premiered at The Big Apple Film Festival and told the story of a beautiful young actress being drawn into the world of egg donation clinics. It was written after Canadian actress, Sonja O’Hara, noticed that next to casting calls in industry magazine Backstage were ads for egg donors (who would be paid around $10,000) and she became intrigued because she knew aspiring actresses were thought to be beautiful, poor, and in the optimum age range for egg donation. In Australia most donor eggs (or oocytes) are given by a woman who is emotionally close to another woman. “In most cases our patients come to see us with a family member or friend who is willing to donate her eggs,” says IVF Australia. It is very rare for a woman to donate her eggs to a stranger. In Australia a woman can only be compensated for “reasonable expenses,” such as travel costs or time off work, incurred during the procedure. She can’t be “paid’ for her eggs. 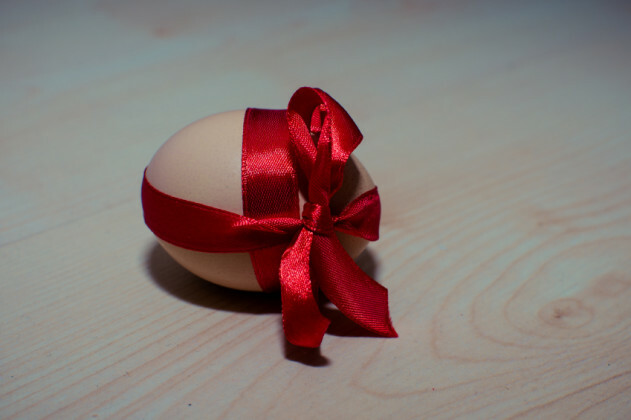 At the end of the day, donating your eggs is usually an emotional decision and one based on what that particular cell means to an individual. To some it is just an egg cell, to others it could grow to be a brother or sister to their child. Jacqueline Lunn is a journalist, writer, editor, student, and author of The Unknown Woman and Under The Influence. She’s on Twitter. This originally appeared on Debrief Daily. Republished here with permission.